Tonight was yet another continuation of our holiday meal traditions. 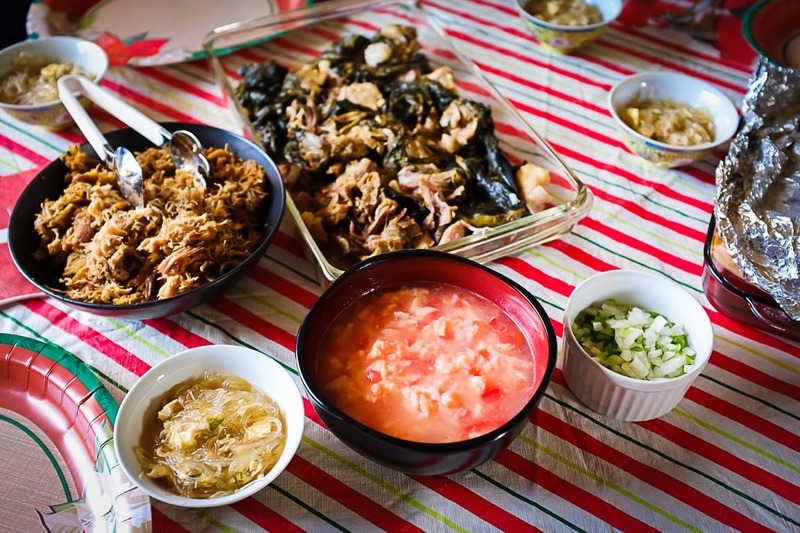 The feast was a Hawaiian one – laulau, kalua pig, mac salad, lomi salmon, poké, chicken long rice, and char siu pork. 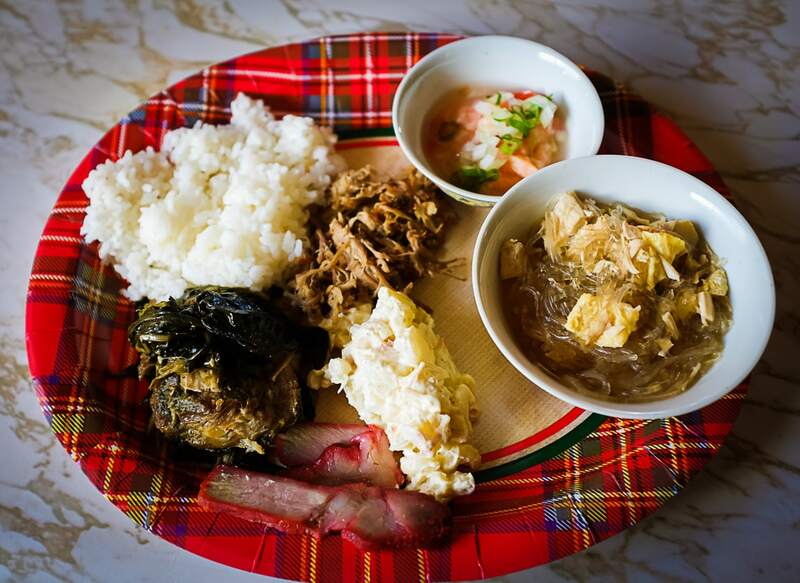 This traditional meal started when my grandparents (on my Dad’s side) would visit us from Maui, and they would bring boxes filled with food. Other items we’ve had for the Hawaiian feast include poi, opihi, and dried fish, but those are rare nowadays. I hope you had a nice Christmas dinner as well!